Happy summer, friends! I hope everyone is soaking in the sun and having plenty of time to relax and catch up on reading. It's been rainy here in Louisville, Kentucky all week, so I'm anxious for the sun to make a reappearance here soon. As a lover of water parks, I'm making a trip to Holiday World & Splashin' Safari a few weekends from now. I'm hoping it's hot, hot, hot! 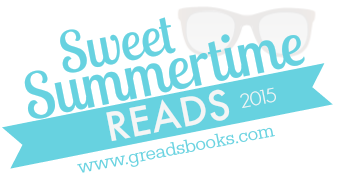 I'm so happy Ginger invited be to be a part of Sweet Summertime Reads. I've always been a summer girl myself, "born and raised" since my birthday is July 17 and I've always lived in the South. 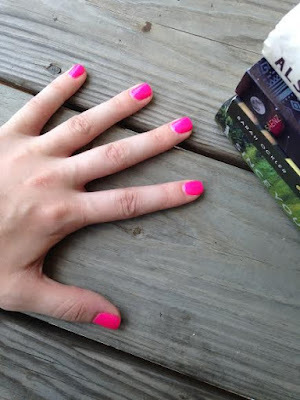 I can never get enough of the warm weather, no matter how hot and sticky, the flip flops, the short dresses, and the bright nail polish. Even though I work normal hours, it makes the day that much better when I know I'm waking up to pleasant temperatures and I can see the sun shining throughout the day. Summers also bring back lots of memories, of those long, hot days with nothing but time ahead. There's definitely a nostalgic feel floating through the air. With that in mind, this summer I've been reading more books from my TBR pile. It's been great to not focus only on new releases or what's ahead, but to take a look back and see what I may have been missing. 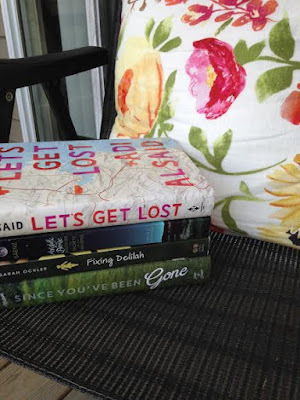 These four -- Fixing Delilah, Since You've Been Gone, Let's Get Lost, and Aristotle and Dante Discover the Secrets of the Universe -- are all perfect summer books, too. There's friendship, traveling, unexpected romance, family secrets, and discovering yourself for the first time. Thanks so much for having me, Ginger! Here's to a summer full of books and sun and love. Danielle, your summer reading pile looks spectacular! 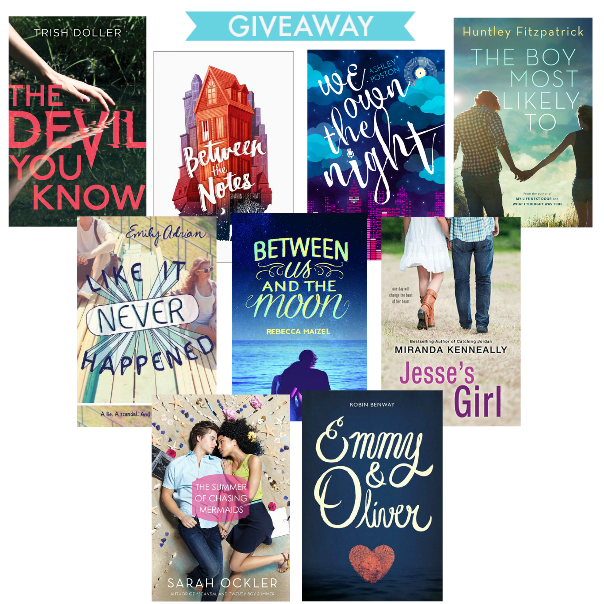 I am so excited for your to read Fixing Delilah, as its my favorite Ockler book (and easily in my stack of all time fave books ever -- no pressure! haha). We are summer soul sisters through and through. I can never get enough of it, either! Thanks so much for sharing your sweet summertime reads with us! Lovely summery pictures! :D unfortunately my holiday ended yesterday, back to school I go! Maine winters feel eternal, so summer is everything! Summers are big for tourism so everything comes alive for these few months. Unfortunately, my ever-growing TBR pile doesn't stand a chance at being done before summer is.